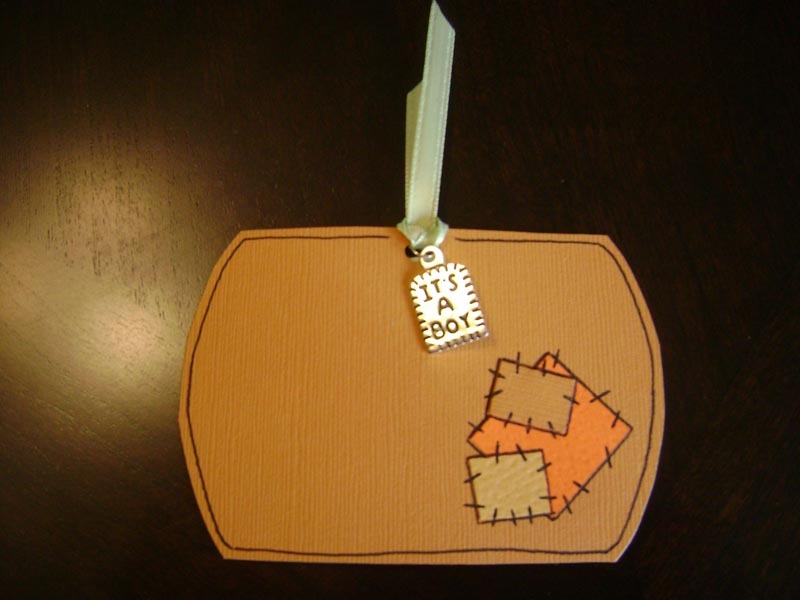 These Pumpkin Baby Shower Ideas are adorable! And perfect for this year's fall/autumn time of year. The baby shower below was thrown by Karina, one of our sweet & thoughtful readers who shared her time and creativity with the rest of us! Because of readers like her, this website is the best resource of baby shower ideas on the web! Thanks so much, Karina! This was for my neighbor, it was for her second child, again a baby boy, we (my other two neighbors an I) decided to go with the Lil' Pumpkin theme because the shower was going to be either October or November, I did the invites that are shown in this website, I only added a charm that said "it's a boy" so people wouldn't think it was a halloween party, this time we host the party in a garden and we tried to decorate with fall colors. 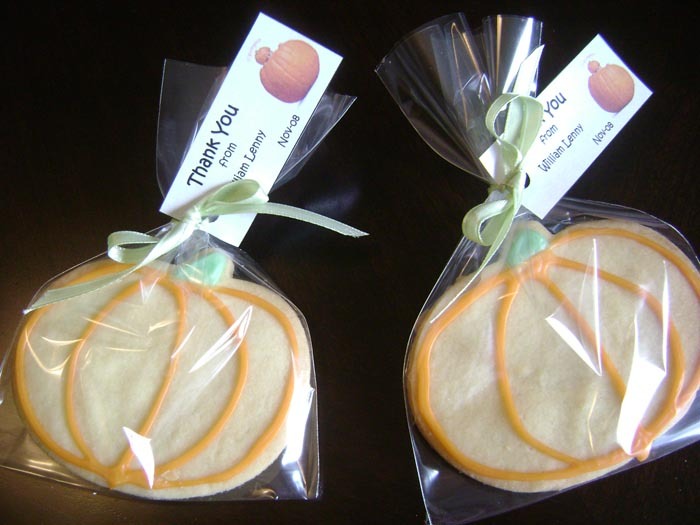 For favors I did some pumpkin shape cookies. these are the easiest yet very tasty cookies I could find (I even made my ornaments for my tree with this recipe). I did the gelatin again but this time I used peach, for the orange color. 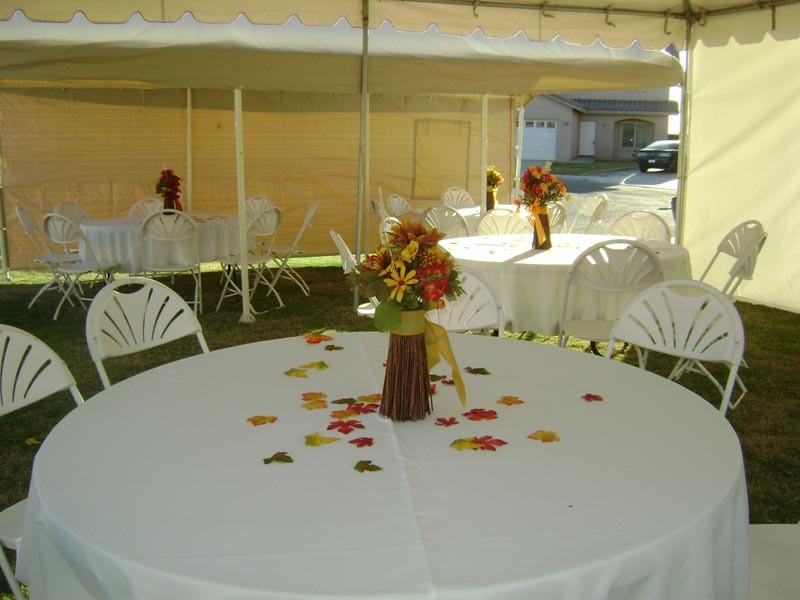 Since the party was hosted in a garden my neighbors brought some fruit salads, a punch jar, and some other things and we set up a buffet table, the cups, plates and napkins were all orange. 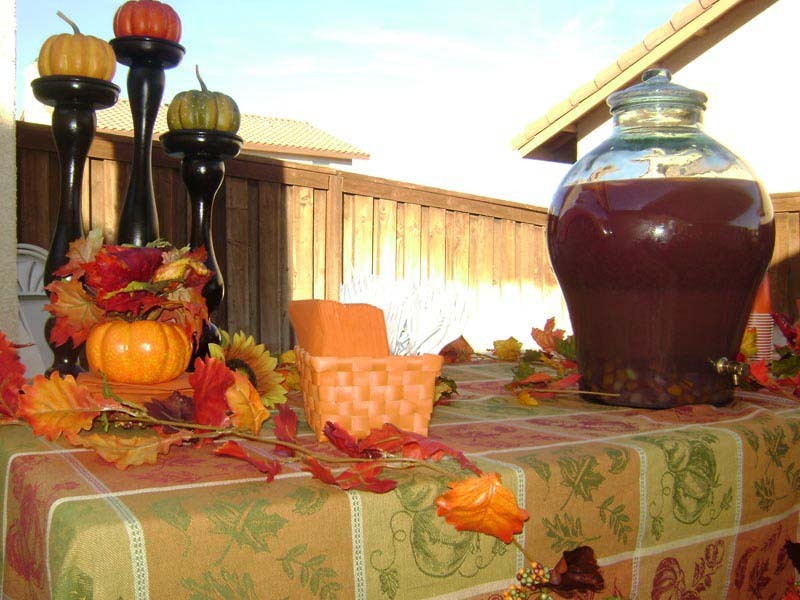 We used some fall centerpieces for the tables with some fall leaves. 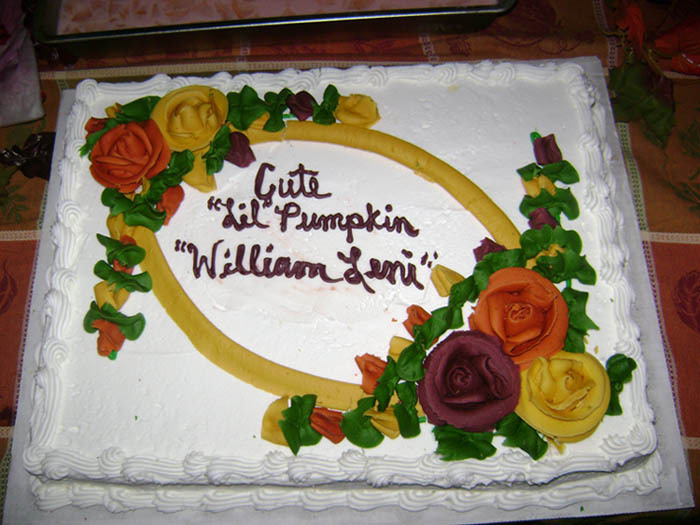 The cake was supposed to have pumpkins but they messed it up at the bakery, but at least it had fall colors, lol. I hope you can find some ideas for your showers. Thanks for the adorable ideas Karina! !